Hello Andy. Thanks for putting this first ever member's message on the site. 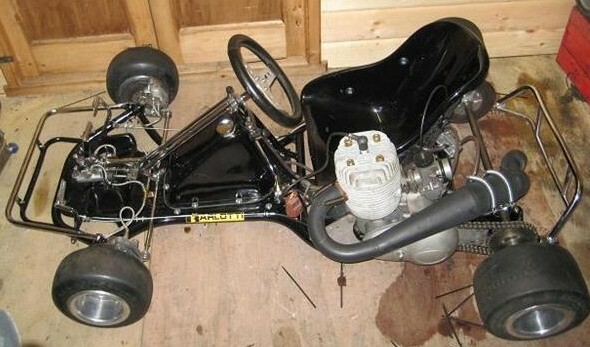 Your kart looks really nice, as I called it "Black Beauty". With reference to the age, that model and style of Barlotti was hard to identify as they all looked the same from year to year - apart from a wide waisted model, there was the earlier drum brake model and some models like yours I've seen, had reservoir cups on the master cylinders at your feet. Apart from that, I'm like anyone else that tries to identify karts - it's a bit of guessing game. The Barlotti Class 4's usually had a number stamped at the top of the steering column (for instance 79B). I've had an 81B before, so there could be a 77B and a 78B. Hopefully, maybe another member can enlighten us on how to identify some of these Barlotti's. 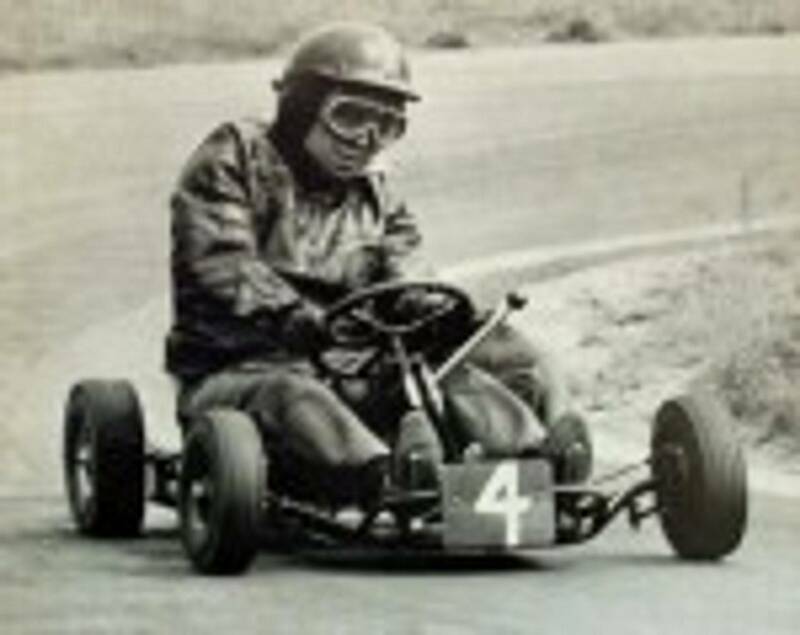 Hi Jim, after meeting Martin Marks at Shenington last year I think my Kart is a 1977 model. Martin has had his since new when he bought it from Jack in 77 and mine has an earlier chassis number. I like the black beauty name, thanks for the nice comments.